Zenit was by fare the better side and looked very dangerous from the start. Kirill Kaplenko scored after 17.minutes. The ball first hit the crossbar, then Robin Olsen saved it before Kaplenko found the back of the net. Ten minutes later Anton Zabolotny made it 2-0, and after 35 minutes Zenit scored number three thanks to Dmitri Bogaev. At half time Roberto Mancini changed the whole team and sendt out what are more likely a first team! After 62 minutes Matias Kranevitter made it 4-0, and 3 minutes from the end Alexander Kokkorin scored Zenit’s fifth. 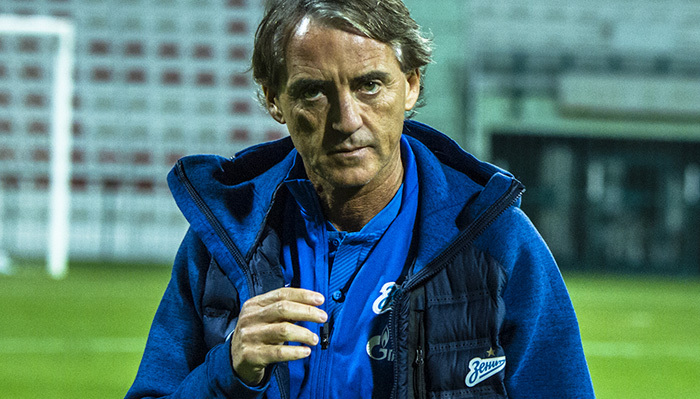 After the match manger Roberto Mancini was very pleased with his players.